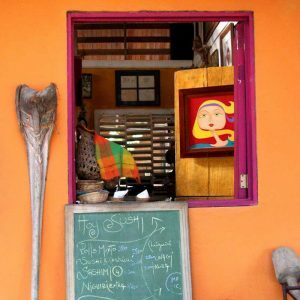 Beautifully tucked away amid a stunning landscape, Montezuma possesses a trademark open-air snugness and unique culture. It’s one of the most sought after holiday spots in the region for jovial spirited travelers looking to enjoy its ongoing, relaxed festivities. In the evenings, the town’s generally unruffled-vibe transforms to a more boisterous atmosphere, after visitors and locals have had a chance to cover from the day’s adventures. 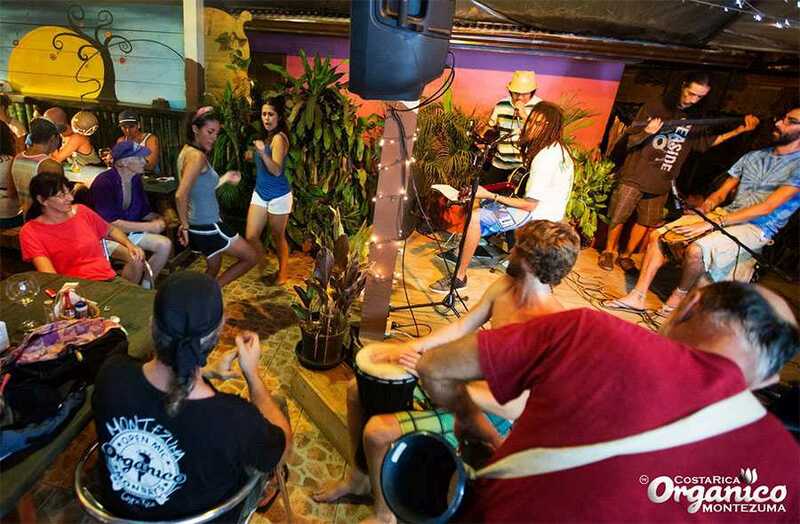 The nightlife is remarkable for such a small village, with a couple of popular bars and restaurants, such as Organico and Chico’s bar, that feature everything from DJs to live bands, and an open mic. Montezuma’s many restaurants, many Italian-owned, are known for their excellent cuisine and are as varied as they are flavorful. 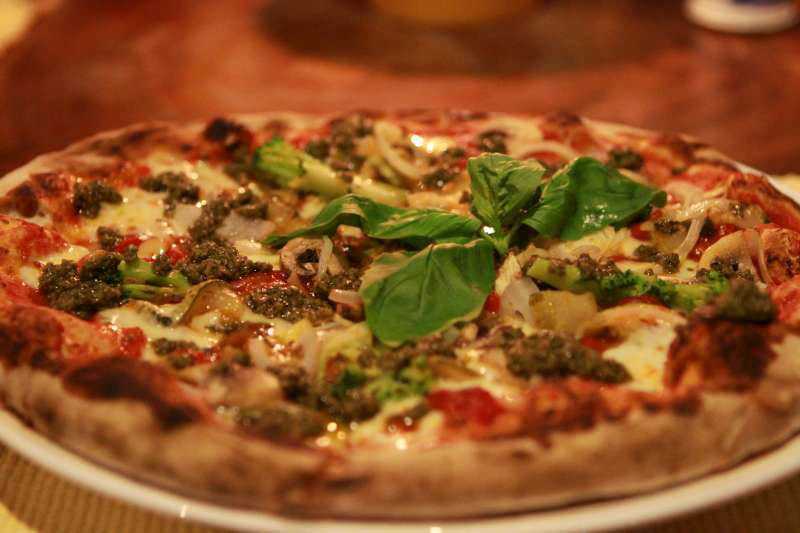 Vegetarians have several options, with many having a Mediterranean vibe due to their Italian ownership. This area of the coast is known for its many tidepools and the creatures that live within. Many gorgeous white sand beaches are tucked away between the rocky outcroppings, and there are a handful of surf spots too. A short walk from the town center is a famous waterfall (Montezuma Falls) with trails up to and between it’s three deep pools. 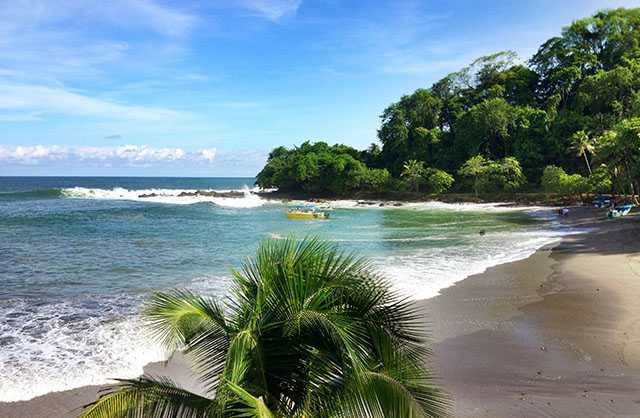 Montezuma is known as a romantic spot to get away from it all and enjoy “The good life” away from the mass tourism found in many other beach towns of Costa Rica. The hotels are all family and local-owned, mostly small, with 2-12 rooms. There are a few yoga centers and many options for rentals ranging from cliff-top luxury villas to simple bungalows. Montezuma is all about yoga, and while Anamaya is the most spectacular option, there are many other teachers and places to do it, such as Dagmar’s “Montezuma Yoga” at Hotel Los Mangos, or Ireni Stamou who teaches at Ylang Ylang resort north of town. Nestled into a landscape of true tropical paradise, Montezuma is a travel destination for any sand and surf lover and eco-tourist. The small beach village is stunningly outlined by high cliffs alongside the jungle where small rivers cascade beautifully and form scenic waterfalls and natural pools. On the edge of the village is Playa Montezuma, a huge sandy beach, perfect for sunbathing, swimming, and nightly bonfires. Caution is advised though, as the sea bottom drops drastically and the surf is at times rough. If you want a more secluded beachfront outing, pack a bottle of water and venture further, passing by pristine, isolated bays rimmed by the high rising jungle of the Montezuma Biological Reserve. After a 15-minutes hike, you come to Piedra Colorado, a small beach between rocky outcrops where a river empties into the sea. The offshore reef is known to be ideal for snorkeling. 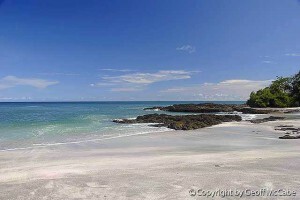 3 km from Montezuma you arrive at Playa Grande. 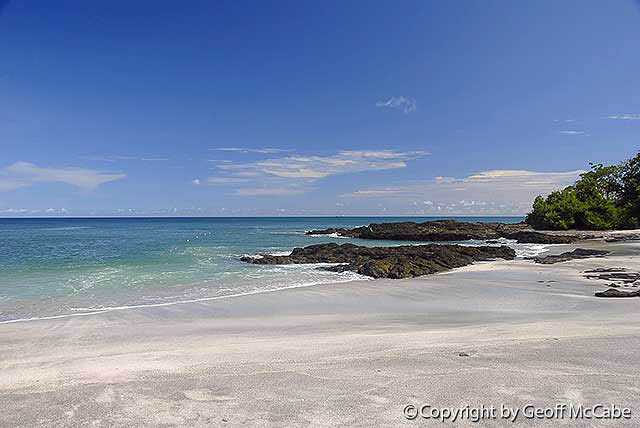 The long expanse of white-sand beach is the best spot for swimming and surfing in Montezuma. If you are still enthusiastic and high on energy, you can walk on for another 5 km until you get to Playa Cocalitos and the scenic El Chorro waterfall. The fresh water drops off an escarpment into lava rock swimming pools and then into the ocean. A sight worth taking many times over. Pick the low tide to walk around the rocky headlands where tide pools provide natural bathing tubs. After a walk of around two kilometers, you arrive at Playa Las Manchas, a striking coral sand beach with clear azure waters. The bay affords ace swimming waters and snorkeling but you have to stay cautious against the strong rip current towards the south of the bay. There is a rescue line in the water. Beaches – Probably the principal reason that people come to Montezuma is its spectacular beaches. The town itself is surrounded by white sand beaches and rocky coves, and there are many more within walking distance. Check out a photo tour of the area’s beaches HERE. Canopy Tour – Another sought after activity among tourists is the canopy tour across the Montezuma waterfalls where you zip through a huge river valley. Other options are diving and snorkeling, fishing, surfing, horseback riding, or yoga in one of the hotels in Montezuma. A must-see attraction for nature lovers is Cabo Blanco, Costa Rica’s oldest Nature Reserve, located at about 9 km to the south of Montezuma. Café Organico – Café Organico is a vegetarian’s manna from heaven, offering pure organic food with love; delicious homemade ice-cream, tropical fruits flavors. It has a cozy indoors area with air conditioning where travellers can comfortably unwind, read their book or just use the wifi internet connection. Cocolores – The very popular restaurant and bar Cocolores is located at the ocean side, not too far from the church and offers a decent variety of dishes from all over the world. Open only at night; make a reservation in advance during the high season (closed Mondays). One of the favorites dishes are the fajitas, the shrimp kebab and the fish fillet in curry banana. Florencia´s homemade chocolate mousse and Tiramisú should be on top of your must-try list. El Angelo Allegro – There are a couple of Pizzerias offering Italian and Argentinean specialties, El Angulo Allegro also has a little stage where the musician travelers often play for the customers, so you can also enjoy live music, while your taste buds feast on some humble yet surprisingly scrumptious goodies. Hotel Moctezuma – Restaurant/bar Moctezuma is located adjacent to the tiny beach and has a gorgeous terrace overlooking the ocean and with constant breeze. The Spanish management here encourages you to try some delightful dishes such as the famous “Paella”. For atmosphere and view of the water, this place is among the best in Montezuma. Montesol – Adjacent to it the traditional soda Montesol is the most sought after pick for signature Costa Rican food, the casados, and Montesol’s is known to be the best in town. 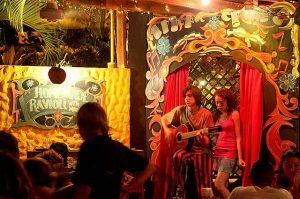 Playa de Los Artistas – As you walk or drive 100 metres along the coast, just after the small Montezuma beach, you will reach Playa de Los Artistas a much sought after dining venue, located on the sand right bang in front of the ocean, owned and managed by Nicola and Daniela. It offers Mediterranean cuisine with emphasis on seafood infused within sophisticated global recipes to please the homesick travelers’ palate. 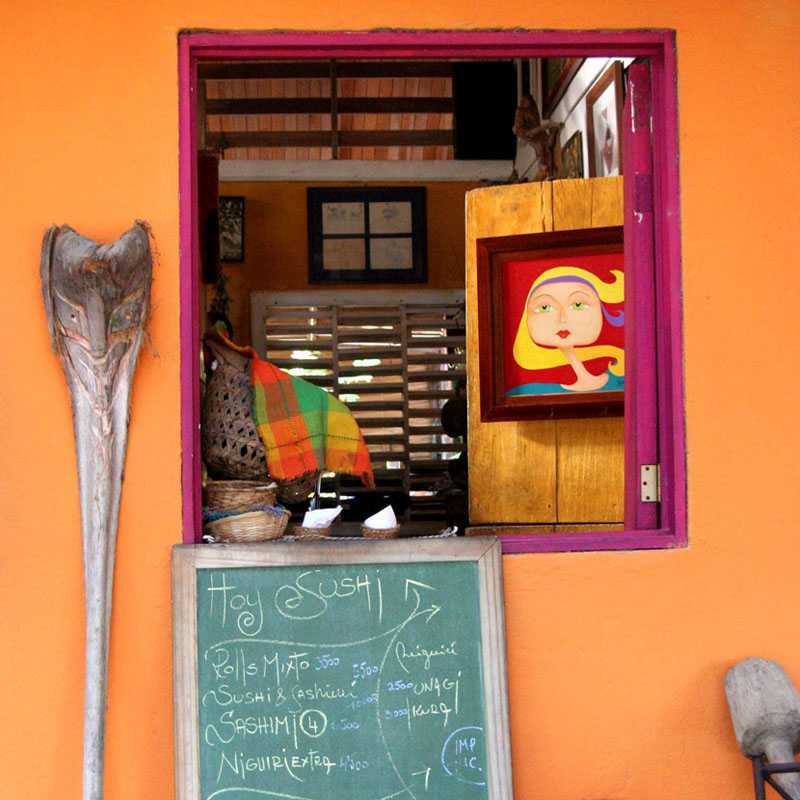 It is probably the best restaurant in the area; attracting discerning clients from Mal Pais, Santa Teresa and Manzanillo. The menu always varies and depends on the days’ catch (lip smacking) and Nicola´s creativity and inspiration. The tuna tartar, lobster carpaccio, octopus salad and shrimps ceviche are few options of his amazing creations. Fresh ingredients, art pieces, paintings, great music and an amazing atmosphere are the ingredients of a perfect meal. Open for lunch and dinner (closed Sundays). Puggo’s – Puggo’s has the best food in town, and is located in front of the bus stop. Head here if you crave falafels, paté, ceviches, which are a few of their specialties. The mint lemonade they prepare is one of the best you’ll ever have, as is their oven baked fish. Tierra y Fuego – For a more rustic country side experience you can drive 4 km up the road from Anamaya to Tierra y Fuego (walking perhaps 30-40 minutes.) They offer a great selection of Italian dishes, cheese, cold cuts, wood-fired pizzas, homemade pasta and grilled chicken every Sunday. Comfort food at its best for the less adventurous traveler. Ylang Ylang – Ylang Ylang Restaurant and Bar, is part of the family-owned Ylang Ylang Beach Resort, known for its picturesque beauty, tropical wildlife and impeccable service. Each meal prepared at Ylang Ylang Restaurant is made with the freshest of local ingredients and they attempt to use organic produce wherever possible, in all of their dishes. Located on the beach front, their restaurant makes a great location for unwinding, catching up with fellow tourists and enjoying their near perfect cuisine, whether it’s watching the sun rise over breakfast, lunchtime dining amidst the enticingly lapping oceanic waves or candle-lit dining under the stars at night or simply enjoying a refreshing cocktail at their bar.